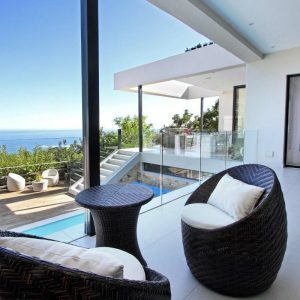 Get the best rate on Camps Bay villas. Luxury holiday rentals offering space, privacy, a fully-equipped kitchen, hotel conveniences, and 24/7 local guest support. Camps Bay is a favourite summer playground for locals as well as international visitors. It is easy to see why – the setting is simply gorgeous, with pristine beaches, azure waters and the beautiful backdrop of the Twelve Apostles mountains and Lion's Head. 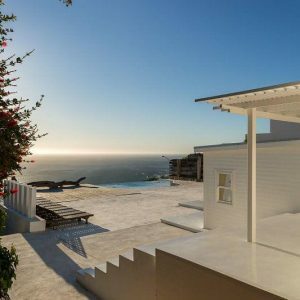 Set against the back of Table Mountain and only 15 minutes from the city centre of Cape Town, Camps Bay holiday accommodation includes stunning luxury villas and charming cottages as well as penthouse suites and magnificent mansions dotted against the mountain or on the beach with glorious views. Most are within walking distance of the promenade with its famous palm-lined beach. It is the best place to holiday in Cape Town, whether you intend seeing the rest of the city and its attractions or wish to spend lazy days near the sun-kissed sand or sipping sundowners at the trendy beach cafés facing Camps Bay beach. 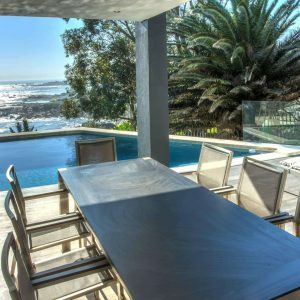 There is a range of accommodation choices in Camps Bay and holidaymakers have quite the pick of establishments. From one bedroom apartments to luxurious three and four bedroom holiday homes overlooking the ocean. 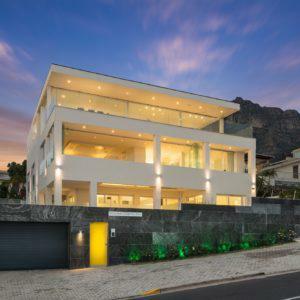 For bigger families or groups, there are also superbly positioned Camps Bay villas with up to seven bedrooms. 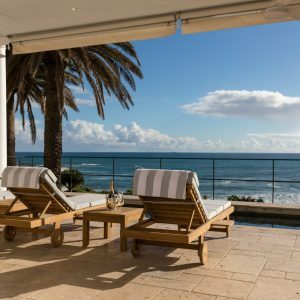 To top it all off, there is a dazzling array of self-catering villas with 360-degree views, Jacuzzis and rooftop terraces – all this and more is possible in Camps Bay. While some rental properties are in the hub of the beach and promenade life, others are more discreet with plenty of privacy to relax in. Summer is high season in Cape Town and villa accommodation in Camps Bay disappear quickly. Camps Bay is especially popular as not only people from elsewhere in the country – but internationally as well – flock to the area. 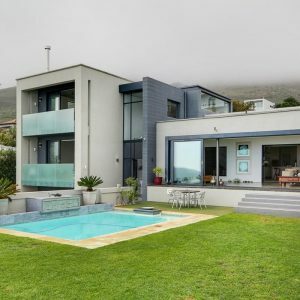 Some holiday rentals in Cape Town go particularly quickly and can become a favourite with a family or group of friends who are looking for one night or a few nights close to the ocean, preferably on the Atlantic Seaboard, which is one of the city's top residential areas. What could be better – you have the sea, the view, the beach and sometimes a garden with a swimming pool, a mountain vista and the beachfront strip with its range of upmarket restaurant, bars and many different activities like surfing at Glen Beach or water skiing as well. 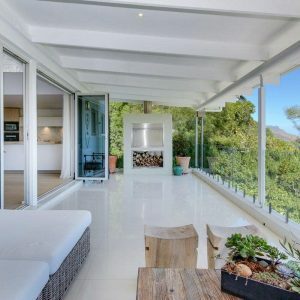 If you want to stay in Cape Town and have decided on Camps Bay holiday accommodation then you will find the options quite varied - from large homes with multiple entertainment areas, inside and outside patios ideal for parties or events to romantic spots with four-poster beds and stunning views from every bedroom. 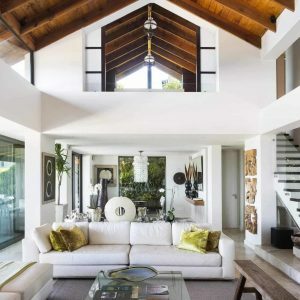 There are also family homes with huge gardens, play areas for children and close to the mountains for hiking or biking. Some establishments have swimming pools, gourmet kitchens and top-of-the-range interior decorating. Most of these are close to bars, restaurants and the vibey cafés of the Camps Bay strip. 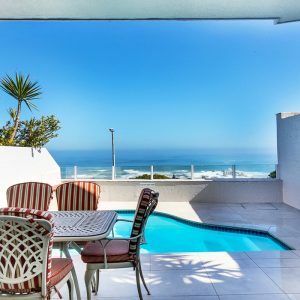 There are many different kinds of holiday rentals to choose from in this gorgeous Cape Town enclave. Our Camps Bay holiday accommodation ranges from stylish villas to modern penthouses, lock-up-and-go apartments and beachfront homes with direct access to the waves. Even though it is a residential neighbourhood in Cape Town, Camps Bay has the feel of a village, with everything you need right around you. There are shops, restaurants and bars as well as boutiques and art galleries – so there is no need to head to the city unless you really want to. Camps Bay hotels fill up quite quickly in the holiday season and a range of vacation houses and holiday cottages are available for visitors. As these tend to be booked rather quickly too, it is recommended that you don't delay in securing your holiday spot. Why not speak to one of our friendly consultants about your holiday needs? At Cape Town Villas, we just love talking holidays and Cape Town. We would be most happy to assist you in any way we can. If you drive from the city centre towards Camps Bay via Kloof Nek road, you will find yourself passing Table Mountain on the left. As you drive past the mountain, the road dips and you will see your first view of Camps Bay – a breathtaking sight that is the ocean and the sun-kissed houses on the slopes of the side of Table Mountain along the Twelve Apostles. This series of mountains were named after Jesus's disciples, even though there are actually eighteen – and not twelve. Each of the mountains is a buttress and has its own name. There is a scenic stop at the top of Camps Bay drive with a bench where many a romantic couple has sat down to appreciate the vista of the Atlantic Ocean stretching into the distance. Going with a holiday rental accommodation affords you and your family the opportunity to relax in style and holiday according to your own time frame. There is no need to get up in time for breakfast and dinner is not set according to the clock. Come to the table barefoot or skip it entirely to enjoy snacks in your private pool. 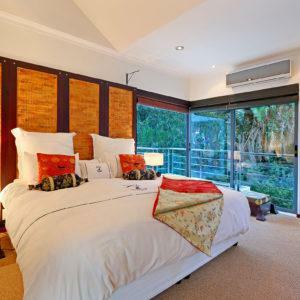 The beauty of selecting Camps Bay accommodation is that you will never run out of things to do. 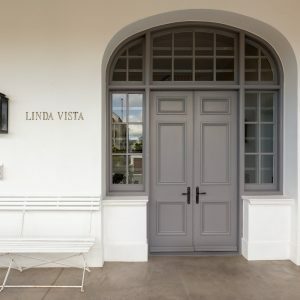 Whether you use your holiday home as a base for explorations into the Winelands or to see the city of Cape Town or if you choose to stay at home, entertaining guests or lounge on the beach or at your pool – the choice is yours. Camps Bay self-catering accommodation is ideally suited to families, groups of friends, honeymooners, couples or even film crews. Cape Town is the film capital of the country and during the summer months, many production crews, models and actors gather in the city – and Camps Bay in particular. 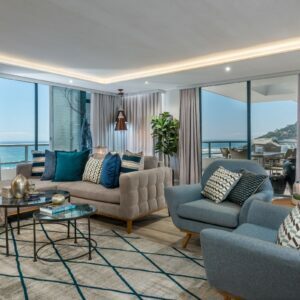 They often think of luxury Camps Bay villas to rent because you really can't beat the combination of beach, mountains, ocean view and elegant beach-chic sophistication that this neighbourhood offers. Celebrities are often spotted in Camps Bay around this time and can be seen strolling along the beachfront. Life in Camps Bay is all about the beach. It has been a Blue Flag beach since 2008, which means that it conforms to an international standard when it comes to safety and cleanliness. It also means that there is a hygienic bathroom, free for use by all who come to the beach. In addition, you will always be able to find parking and access to the beach is a short stroll across the grass. But for most people, it is the strip across the road that is really the best part of Camps Bay. The many restaurants and cafés facing the beach offer delicious meals, sushi and drinks — all day long. There is another beach close to Camps Bay called Maiden’s Cove. This is a lookout point with especially good photographic angles of Table Mountain, the Twelve Apostles and the Atlantic Ocean. Maiden’s Cove is situated between Glen’s Beach and Clifton and can be quite secluded. There is a grass-covered slope behind it, a great spot to take a break or have a picnic. Between July and November, whales can be seen in the ocean and it is also known as a great diving spot. If you are interested in theatre and all things cultural, take a walk over to the Theatre on the Bay, which is situated in Camps Bay’s Link Street. The theatre always has some comedy, drama or popular acts and is known to showcase local and indigenous talent. Going for a drink or a bite to eat before or after the show is a wonderful way to spend a balmy summer night. Will you be seen in Camps Bay this summer? It is fair to say that no visitor to Camps Bay has ever been disappointed. It is one of those unforgettable places where magic is definitely in the air – especially on warm summer evenings when there is no wind and the sky turns shades of crimson and gold. Contact us today to find the perfect holiday villa in Camps Bay for you and your family or group!